South Africans who own cryptocurrencies such as Bitcoin need to declare gains or losses on their annual tax returns, according to SARS. The situation is not much different globally either – some jurisdictions have allowed its use and trade, others have banned it, while others like SA have been monitoring it and have not declared it illegal. Cryptocurrency can be traded at a global level and there are calls for a global approach to regulation, the paper notes. In South Africa, the Reserve Bank has been monitoring developments in the space and in 2016, the Intergovernmental FinTech Working Group (IFWG) - consisting of members from National Treasury, the Reserve Bank, the Financial Sector Conduct Authority and the Financial intelligence Centre - was set up to develop an understanding on fintech developments and their implications on regulations and policy. 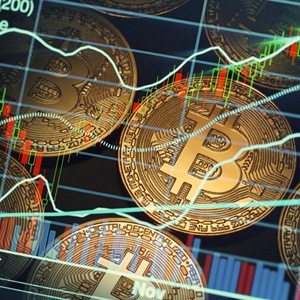 The paper highlights the risks crypto assets pose, such as undetected illicit financial flows, money laundering, terrorist financing risks and consumer and investor protection concerns, among other things. However, there is still a "growing interest, investment and participation" in crypto assets. Given the risks, the IFWG and the Crypto Assets Regulatory Working Group have agreed that regulations should ensure the "safety and efficiency" of the financial system and financial institutions, ensure consumer and investor protection, combat illicit financial flows, money laundering and the financing of terrorism and tax evasion. Among the proposals is that crypto assets remain without legal tender status – which fiat currencies have – and are not recognised as electronic money either. A regulatory framework for cryptocurrency should be developed over three phases. The first phase involves a registration process for crypto asset service providers – which will help provide insights on market participants. The second phase involves a review of existing regulatory frameworks to either introduce new requirements or amendments to existing requirements. In the third phase the effectiveness of the regulatory actions should be assessed. "The phased approach, starting with the registration requirement, could lead to formal authorisation and designation as a registered/licensed provider for crypto asset services operating in South Africa at a later stage," the paper reads. The first phase is expected to be implemented in the first quarter of 2019, with the remaining phases following after.